Process rather than product, becoming rather than being, dynamic rather than static, context rather than text, reflecting time and place rather than universal absolutes—these have become the postmodern watchwords for analyzing and understanding science, society, organizations, and business activity, among others. They should likewise become the watchwords for archival science in the new century, and thus the foundation for a new conceptual paradigm for the profession. Postmodernism is not the only reason for reformulating the main precepts of archival science. 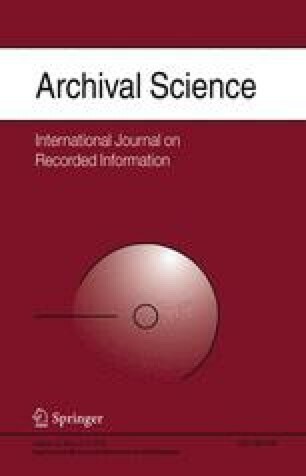 Significant changes in the purpose of archives as institutions and the nature of records are other factors which, combined with postmodern insights, form the basis of the new perception of archives as documents, institutions, and profession in society. This essay explores the nature of postmodernism and archival science, and suggest links between the two. It outlines two broad changes in archival thinking that underpin the archival paradigm shift, before suggesting new formulations for most traditional archival concepts.